Halloween is unlike any other holiday. There’s so much to enjoy and do, varying from the extremely scary to fun activities to enjoy with the whole family, it’s time to get out and see what awaits you this Halloween season in Hawaii. 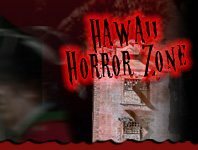 HawaiiHauntedHouses.com has all the details to events and attractions for spooktacular Halloween fun! Big Island Ghost Tours Island of Hawaii 231 days ago Rate Now! Fall Festival & Arts in the Garden Haverhill 231 days ago Rate Now!